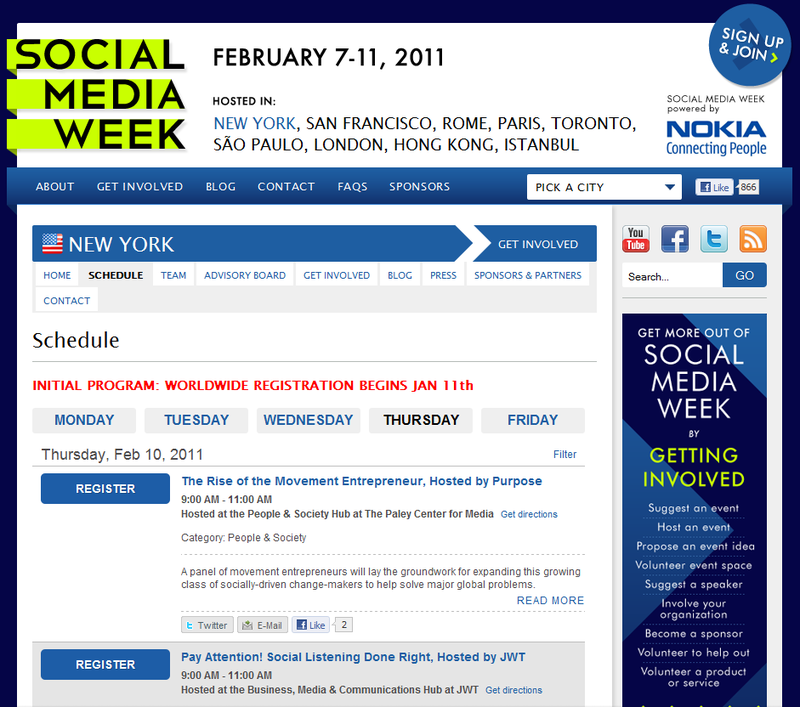 Today marks the first day of Social Media Week, which runs until February 11th. 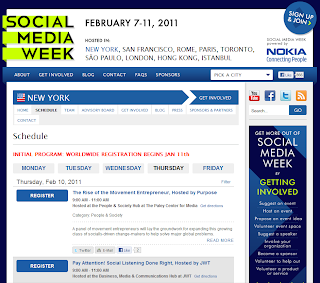 First held in February of 2009 in NYC, Social Media Week now brings hundreds of thousands of people together every year through learning experiences that aim to advance our understanding of social media’s role in society. There are day and evening events to register for, so if you haven’t already signed up, it’s time to do it now! NearSay will be presenting “It’s Lunchtime, Now What?” at SideBAR with panel speakers from Bizzy, Signpost, Yelp, Foodspotting, and Luke’s Lobster. From local neighborhood news, deal sites, review sites and recommendation engines, we'll explore the tools being used to help you pick the perfect place and, perhaps, even what you should order. Thanks to advancements in social media and tech, it doesn't stop there. Share your experience with photos, check ins, tips, tweets and reviews too! We'll be taking a look at how consumers are utilizing these trends & tools and how local restaurants can capitalize. Join us at SideBAR for drink specials and snackage (on us!). Come early or stay late to hang out with the team and enjoy SideBAR's $7 lunch special. Happy Hour starts at noon with $3 Bud Light drafts, 2 for 1 Vision Vodka cocktails, 2 for 1 901 Margaritas, 2 for 1 Cruzan Rum Cocktails, 2 for 1 Jim Beam Black & Cokes, 2 for 1 Gin & Tonics and 2 for 1 Red Bull & Vision Vodkas. Sometimes you need a daytime cocktail. I might have to join AA after this event.